Preamps: McIntosh MX110z tuner/preamplifier, deHavilland UltraVerve; Black Pearls Audio Aquarius, self-modified Jolida JD-9 phono stages. Secondary: DSPeaker-Anti-Mode 2.0 Dual Core for bass optimization. Amplifiers: McIntosh MC30 mono blocks, Wright Sound Company WPA 3.5 mono blocks (TFA-204 nickle air-gapped output transformers), Antique Sound Labs Typhoon DT (six Duelund CAST Copper Copper Foil caps, Bybee 2A POS Music Rail). 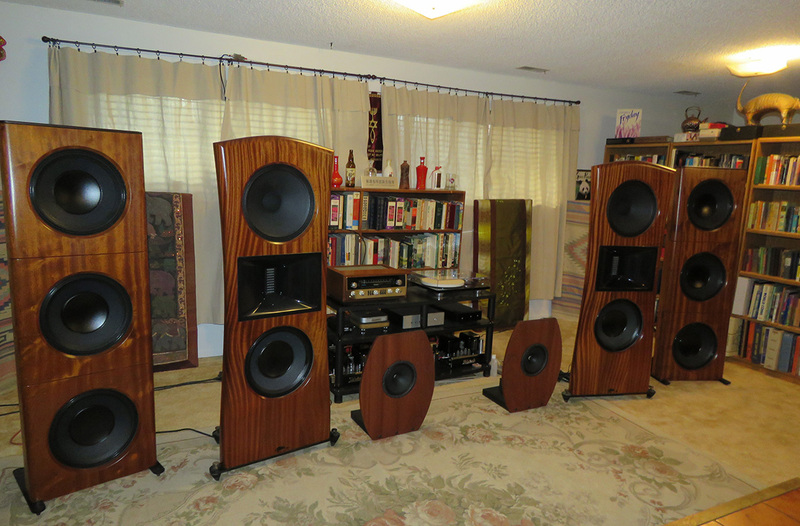 Melody i2A3 and AudioSector integrated amps. Secondary: TubeCube|7 and MiniWatt integrated amps, Outlaw Audio RetroReceiver. 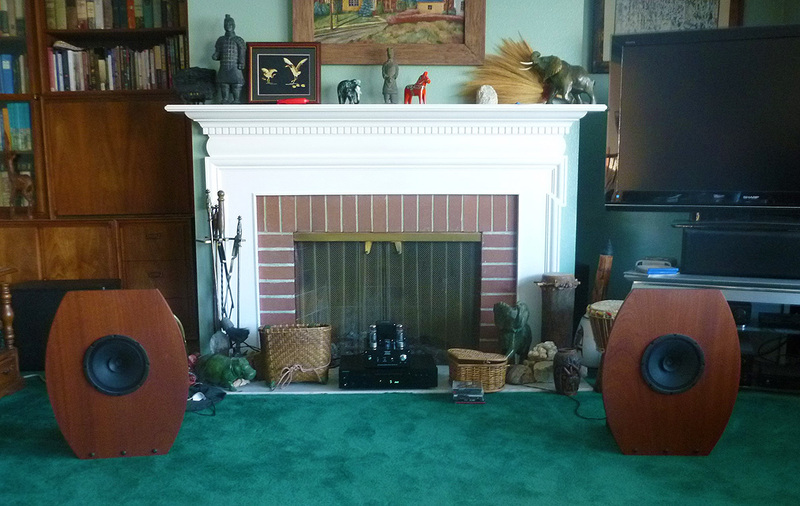 Speakers: Altec Valencia (XTC-grade oil-filled capacitors, Cardas wiring, custom stands and other tweaks). Customized REL Strata III utilizing a properly-designed outboard amp (SA1000) not compromised by the obviously under-spec'd resistors chosen by REL. Secondary: Two-way GPA 604-8H-II drivers mounted in 9.1 cubic foot enclosures strongly influenced by Jay Fisher's MLTL design (plus Dial-a-Vent, Dial-a-High, XTC-grade oil-filled capacitors and other tweaks. Office: Wharfedale Diamond 10.1. Customized REL Strata III utilizing a properly-designed outboard amp (SA1000) not compromised by the obviously under-spec'd resistors chosen by REL. Cables: Jenving Technology Supra Classic 2.5, Cardas SE-15, DIY WM-XTC, Audience, and Zu Audio Libtec cables; Western Electric #16, Cardas Golden Cross, Audience Au24, Audience Maestro, and Bob Crump custom copper interconnects. Wireworld Ultraviolet High Performance, and Elijah Quad Braid and Isolate Cu USB cables. Secondary: Analysis Plus cables and interconnects. Stands: Two three-tier Grand Prix Audio Monaco units on Apex footers; Secondary: Lovan Affinity Pro6 Series rack, Acoustic Dreams Dead Ball ISOLATElators; Neuance platform. Power line conditioning: BPT 3.5 Signature; cryo'd Pass & Seymour wall outlets; Audience, T.G. Audio Lab SLVR, Analysis Plus Power Oval, Zu Audio Birth and Bok power cords. Secondary: Brick Wall PW8R15AUD. Sundry accessories: Herbie's Way Excellent Turntable Mat, Locus Design Basic and Bren1 record clamps, VPI 16.5 record cleaner, Shun Mook valve resonators. Music makers: Gibson J-100, Epiphone Dot (Gibson ES-335 knock-off), Chet Atkins CE (nylon-strung classical) electric guitars; Fender Blues Jr. amp; Privia PX-555 keyboard, 1906 Ellington upright piano..
Room size & treatments: 26' x 19' x 9' (a fractured 'L', nominally 16' x 19' with 12' feet of the 19-foot dimension opening to the 20-foot section of the 20' x 12' kitchen/eat-in area); concrete slab, sheet rock walls. ASC Tube Traps and Sound Planks, Echo Busters absorbers, Shakti Hallograph Soundfield Optimizers, and Acoustic Revive RR-77 ultra low-frequency pulse generator. Fast forward to 2018. Recently Mr. Fußball, one of the newer members of our local Bad Boys Benevolent Association*, retired from his long-held globe-trotting job. George has a very fine system that I, for one, greatly admire. We'll learn more about that shortly. George is also a very nice guy who got it into his head to walk the audio gospel talk by helping other music lovers get a shot at the acceptable level of bliss that too many of us Bad Boys (and Girls) take for granted. So began his latest foray into the depths of the hobby. George now sells a ready-to-play system comprised of musically satisfying gear at an unbelievably wallet-friendly price. Not only did he assemble a budget system that redefines how little one can spend to enter the sect, he did so in a big way. The system in question clocks in at a mere $1'020. That's right, just one dub over one grand. That's less than half of what I spent on my experiment in 2004. And just one more thing: he sells at his cost. That's right, George doesn't make one cupronickel-clad coin. 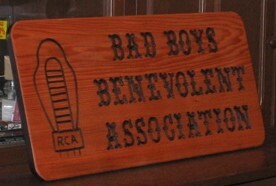 * The BBBA includes the likes of Pete Riggle, Jeff Day, Kent L. and Harry Z. (Portland's Two Bald Guys), Kara Chaffee, Peter Shand, Chris Sullivan, Harry Z., Rahul A., Leo Q., the esteemed Dr. Barbee, Mr. Pig, John J. and Terry Cain (in memoriam).